The island of Tahiti is the largest island in French Polynesia and is the most well-known. But, to new visitors, it is important to remember that the entirety of the 118 islands of French Polynesia are referred to as The Islands of Tahiti. 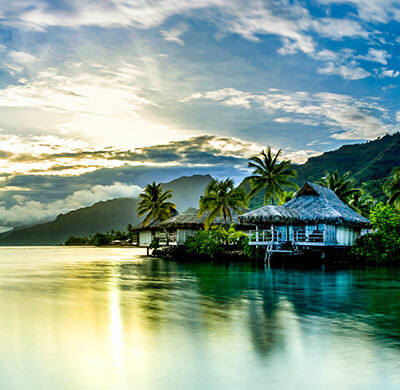 The official languages spoken on The Islands of Tahiti are Tahitian and French, but English is spoken at most hotels and resorts, so don’t worry. 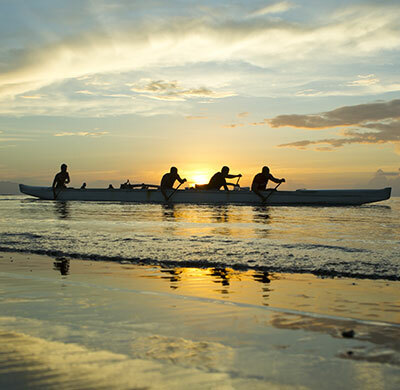 Learning a few French and Tahitian phrases will make you a favorite among the locals, though! If you are planning a trip to French Polynesia, you probably already know that it is only an eight-hour flight from California and that it is in the same time zone as Hawaii. 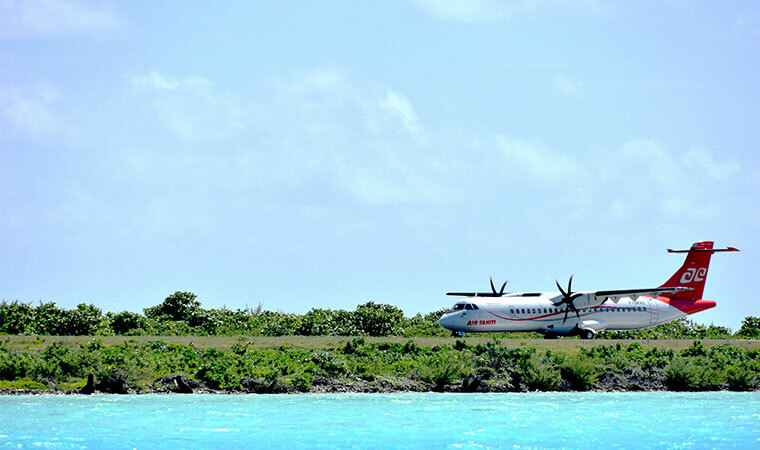 Most people picture an island paradise with miles of white sand beaches surrounded by lagoons. There are also extinct volcanic mountains, coral atolls, dense rainforests, giant tiki, and even a UNESCO Biosphere Reserve (Fakarava). You may be surprised to learn that each of the 118 islands and atolls feels distinctive, with local customs and traditions that differ from one island to the next. When visiting, try to spend time on three or more islands to experience the cultural differences on each. You may discover your favorite island is one you’d never heard of! The Islands of Tahiti offer a rare opportunity for visitors to enjoy seclusion on an uninhabited island, swim in 84-degree Fahrenheit water, and trek through the cooler temperatures of the rainforest all in the same day. Visitors to Tahiti will discover thousands of different birds, plants and flowers, including the true symbol of The Islands of Tahiti, the tiare flower (aka the Tahitian gardenia, aka Gardenia taitensis). As the essential symbol of The Islands of Tahiti, this flower is worn by both men and women, either around their necks fashioned in a necklace (lei), on their heads as a crown (hei), or, as mentioned, placed behind their ears. Placing the flower on the left side of your ear means you’re taken while placing it on the right means you’re looking! 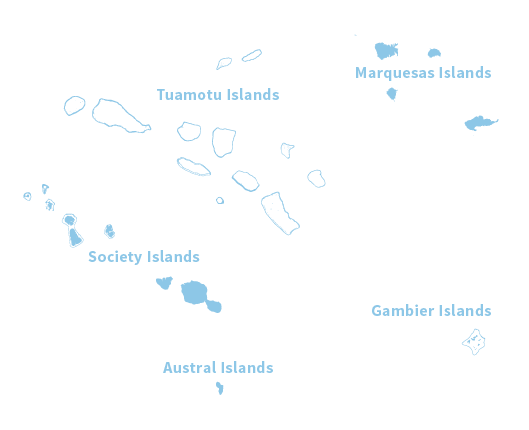 The 118 islands and atolls that make up The Islands of Tahiti are spread across five archipelagos in the South Pacific Ocean and are known as the Society Islands, Tuamotu, Australs, Marquesas, and the Gambier Islands. Combined, the archipelagos are equivalent to the size of Europe, which is about two million square miles. The capital city of The Islands of Tahiti is Papeete, located on the island of Tahiti in the Society Island group which also includes Moorea and Bora Bora. Visitors to the island of Tahiti will discover black sand beaches on the East Coast, white sand beaches on the West Coast, and many activities available including diving, surfing, and land tours. Journey into the heart of the island to discover Papenoo Valley, with lush jungles and an endless array of waterfalls. Tourists will fall in love with Papeete’s infamously colorful market, as the public market in Papeete is in every sense the heart of the city. Le Marché, as the municipal market is called, is the place to find local Tahitian products and produce while you shop in Tahiti, and it is located just one block inland from the waterfront. 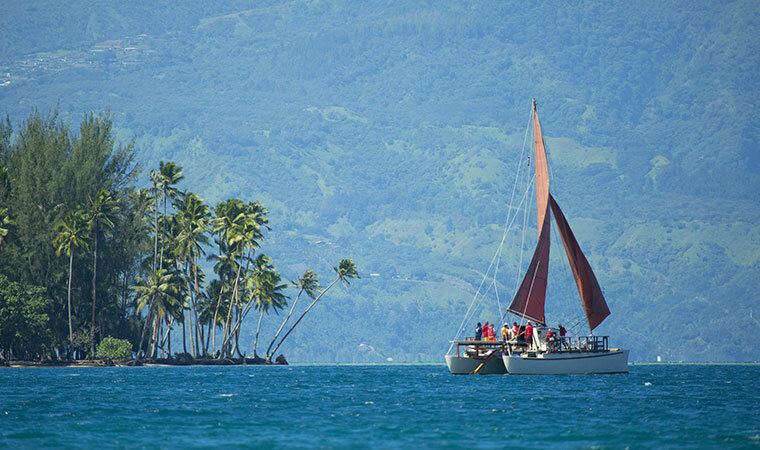 One of the most interesting ways to experience The Islands of Tahiti is to stay at or visit a motu. 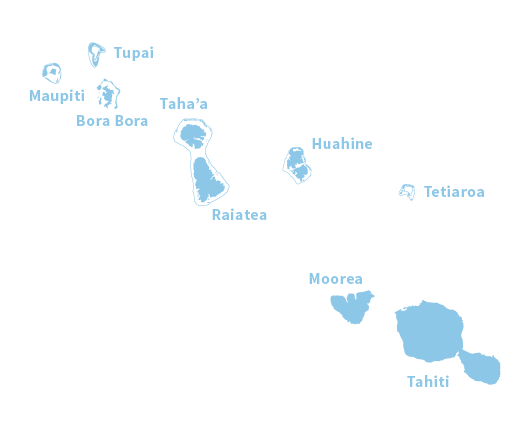 A motu is a Tahitian word used to describe a tiny island, usually located just off the coast of a larger one. For example, the island of Bora Bora has many motus surrounding the main island. The perfect picture of seclusion, a motu can be so small you can easily walk from one side to the other in a matter of minutes, they are usually covered in coconut palms and may have wonderful coral gardens full of colorful fish that are perfect for snorkeling. If you are looking to stay on a motu, you can find them in many areas throughout The Islands of Tahiti. Many hotels, resorts, and even some Tahitian Guesthouses are on private motu meaning you must travel by boat from the main island such as Bora Bora or Taha’a and once you get there, prepare to feel like a castaway on a private island paradise. Many resorts around Bora Bora including Conrad Bora Bora Nui, Sofitel Private Island, Four Seasons Resort Bora Bora or resorts near Taha’a such as Vahine Island Resort or Le Taha’a, are each located on their own motu. You can stay at Ninamu Resort near Tikehau to experience a private motu in a more casual setting than a luxury hotel, too. The motu experience is so essential, even many cruise ships such as the Paul Gauguin make scheduled stops at them to allow their guests to explore and relax like a modern Robinson Crusoe. Not planning to stay on a motu? You can still visit one when you do most water excursions, such as a shark and ray tour, diving or snorkeling tours. Lunch is usually served on a motu French Polynesian-style, with the national dish, “poisson cru,” coconut bread, and sometimes grilled fish or meat. One last tip about motus, when planning your trip be sure to ask whether your resort or hotel includes transportation to and from the motu in case you plan to visit nearby island attractions during your stay. They will all have a boat taxi available but there may be an extra fee. Papeete is where you will find the headquarters for Air Tahiti, the domestic airline for The Islands of Tahiti. From here, if you’re flying out from Papeete to the outer islands, double check with the flight staff which side may be better for sightseeing. The Islands of Tahiti are famous for Instagram-worthy airplane window shots and each Air Tahiti flight is open seating, meaning you choose when you get on the flight. For example, on your way to Bora Bora you may want to plan to grab a seat on the left for epic views of this indescribably beautiful island from above. 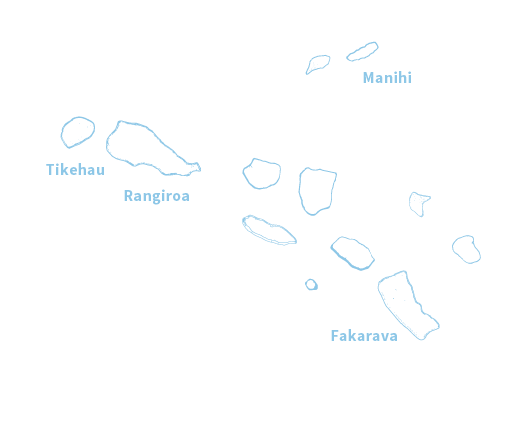 Tahiti covers almost one-third of the total land area of French Polynesia and is home to two ancient and eroded volcanic cones, Tahiti-Nui and Tahiti-Iti, which are connected by the narrow Isthmus of Taravao (Isthme de Taravao). Taking in the beauty of the Islands of Tahiti from a plane or helicopter will undoubtedly leave your phone overflowing with pictures of natural beauty. The birds-eye views will surely be some of your favorite memories from the trip. When you leave, you’ll dream of hovering over the breathtaking expanse of blue waters shifting from light aqua to deep blue, vast canyons and lush forests. The Islands of Tahiti are made up of an area the size of Europe, so climate varies slightly depending on which island group you visit. If you are wondering when the best time to visit Tahiti is based on the climate, you should know that it is generally tropical year-round with an average temperature of around 80 degrees. Traditionally November – April is considered the rainier season and May – October is considered the drier season. The rains don’t tend to last very long and can be refreshing during the hotter summer months (November – April). Because of this climate, visitors will find crops that are typical of tropical locations, such as coconuts, breadfruit, sugarcane, Tahitian vanilla, and coffee beans. Coconuts are especially important and are grown throughout The Islands of Tahiti, for the production of coprah, used for making coconut oil. Some agricultural products are more specific to certain islands. More than 80 percent of Tahitian vanilla is produced on the island of Taha’a, so this is the best island for visiting a Tahitian vanilla farm and this is also a good place to find honey as well. For Tahitian cultured pearls, they are mostly produced in the Tuamotu or Gambier Islands. It is more common to eat wild goat or pig in the Marquesas than it is in the other islands. And not to be missed, the only wine in the world that is grown on a coral atoll can be found on Rangiroa. Of course, if you can’t go to all of these islands to get your shopping done, you’ll find many of these items (especially honey, coconut oil, and Tahitian cultured pearls) are also readily available at Le Marché, the public market in Papeete. Tahitians are considered to be some of the most genuinely friendly and kind people of the world. But, Tahitians are also known for being a little shy as well. Visitors are encouraged to offer the first smile or Ia ora na (hello) when arriving at Tahiti, and you will be quickly met with warm and welcoming hospitality. In The Islands of Tahiti, if you are meeting a friend it is customary to kiss on both sides of the cheek, rather than hug or shake hands as you might with your friends back home. 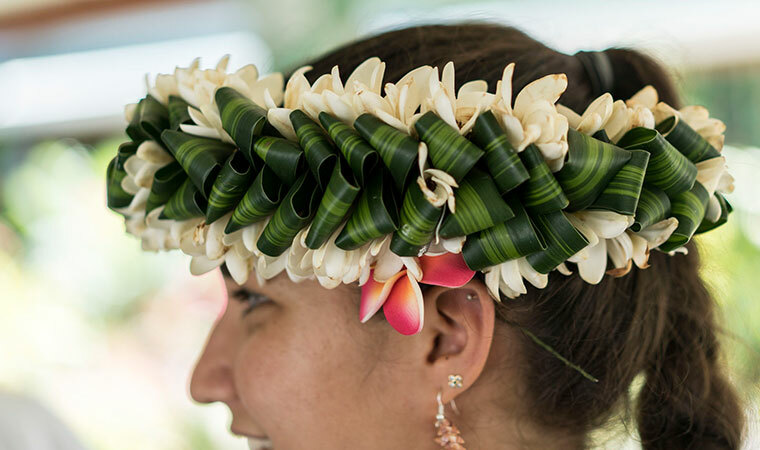 When offered a fragrant lei upon arrival be sure to say māuruuru, or “thanks” in Tahitian! The number of people living in French Polynesia reaches just about 285,000, where about 70 percent of the nation’s population lives on Tahiti. If you were to break it down, about 75 percent of the population is Polynesian, 15 percent European, and about 10 percent Chinese. With a varied culture that possesses so many different languages, it’s no surprise that when the Tahitian language evolved over the years it adopted some slang from other languages on the island. When Tahitians say they are going to ‘la Chine,’ they mean they are going shopping, as many Chinese people on the islands own shops and supermarkets. This mix of Chinese and Tahitian language is just one example of how the all-encompassing nature of the islands and their language has evolved over the years. 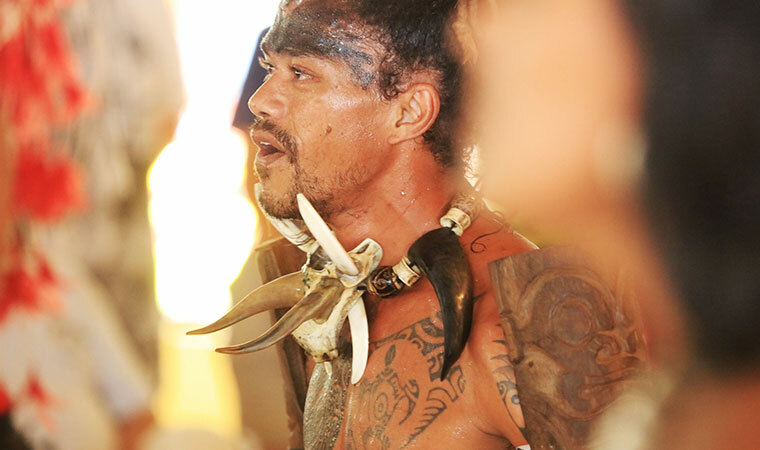 The word tattoo, or ‘tatau,’ originated in Tahiti. The legend of Tohu describes the god of tattoo painting all the oceans’ fish in vibrant colors and patterns. In French Polynesian culture, tattoos have long been revered as signs of beauty and were historically and ceremoniously applied when reaching adolescence. The presence of Tohu gives each tatau the essence of meaning and life. those of the hui to’a, hui ra’atira and ‘īato’ai, manahune types, for war leaders, warriors, dancers, rowers, and the like. The tools of traditional tattooing were comprised of small serrated combs made of bone, tortoiseshell or mother-of-pearl, fixed to a wooden handle. Tattoo artists are now at work in nearly all the main inhabited islands of French Polynesia. Their reputation and the beauty of the Polynesian tatau are so incredible that they attract visitors from all over the world. If you are visiting The Islands of Tahiti, these interesting facts will help you to better understand the islands and the culture, but to truly experience The Islands of Tahiti, you must visit and explore this rich culture first hand. 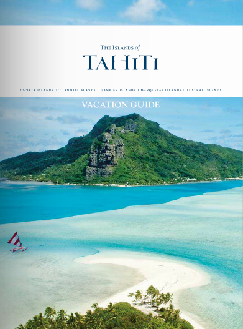 Find accommodations or speak with a Tahiti Specialist today.